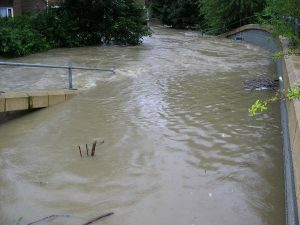 Based on the experience of 600 flooded properties in Cheltenham in the summer of 2007, Martin strongly supported a new national deal on flood insurance and responsibility for drainage and extensive government-funded flood defence work in Cheltenham and elsewhere, but also a more sustainable approach to naturally holding water in the landscape, for instance by extensive tree-planting and landscape management. Martin was home in Cheltenham when the June and July 2007 floods hit. Although he had to rescue his own children from a flooding car and lost his water supply along with the rest of us, he escaped lightly compared to many constituents who were left homeless or had their business premises wrecked or lost priceless possessions in the waters. Martin has repeatedly acknowledged the debt we all owe to the emergency services, the army, the environment agency and local council and NHS staff. On two key votes pressed by Martin, the Conservatives (including the current MP for Tewkesbury) failed to support him and his amendments were voted down which would have promoted fairer insurance policies and given local authorities clear powers to refuse planning permission in flood risk areas where overdevelopment can make matters worse. After the 2010 Act, the coalition government struck a new national deal with the insurance industry called Flood Re to secure affordable insurance for all. Martin welcomed Flood Re but still wants government to actively monitor the affordability and availability of flood insurance, which has affected many people in Cheltenham since 2007. The coalition also strengthened planning guidance relating to flooding in the new National Planning Policy Framework although, again, Martin believes this could go further. Flood defences need to work with natureMartin has also consistently called for more funding for anti-flooding works. Cheltenham’s multi-million pound scheme including Cox’s Meadow did hold back 75,000 litres of flood water and more work was later done by the Environment Agency to the River Chelt and adjacent areas and by Severn Trent to sewers and drainage all over town, including Warden Hill. Anyone concerned about flooding can find the latest information on the Environment Agency website or by following @EnvAgencyMids on Twitter. 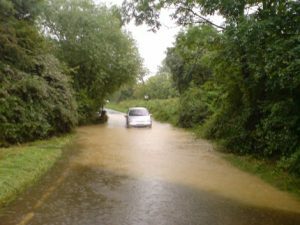 They can also sign up to Flood Alerts via the Flood Alerts Facebook App http://www.facebook.com/FloodAlerts or by calling the Environment Agency Flood Line on 0345 988 1188 or 0845 988 1188. Experts fear global warming will mean extreme flood events will be much more common in future. So we have to take every step we can to reduce the risks from flooding and avoid making it worse.